Now that the warmer weather has arrived, it’s time to dust off the BBQ and get the patio ready for summer gatherings. 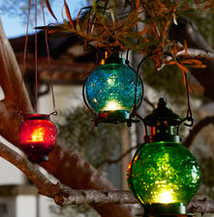 Here are a few ideas to create the perfect patio for outdoor entertaining. 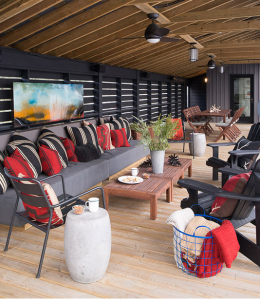 Patio Seating – Large Decks: Create a conversational area and/or dining space. 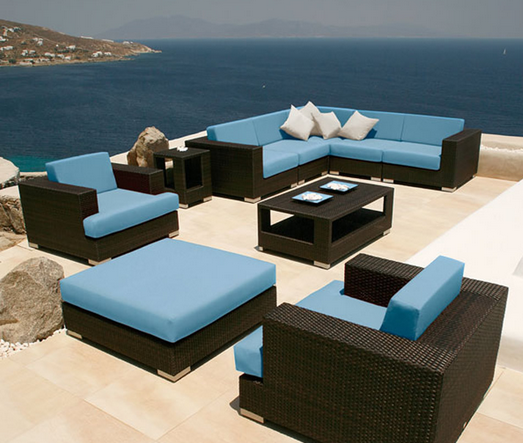 This can consist of bench seating, patio deck furniture sets, loungers, dining tables …you get the picture. Here are some ideas from House & Home that will get you started. 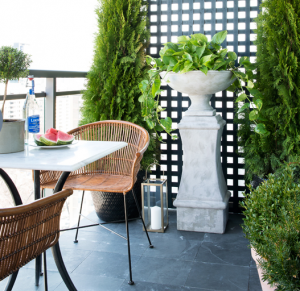 Patio Seating – Small Spaces: Make the most out of your small outdoor space. 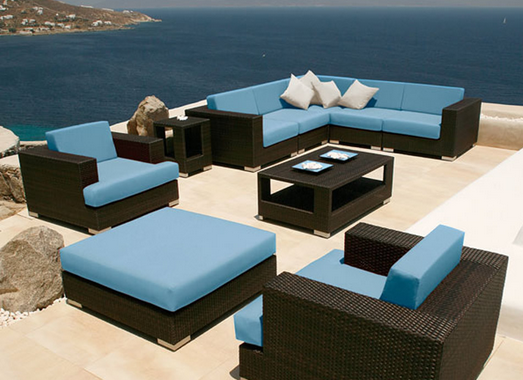 With clever furniture placement scaled to suit the size of your balcony, even the smallest spaces can be welcoming. 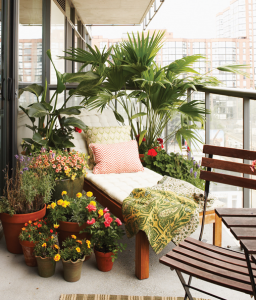 Landscaping: Sometimes container planting is all you need. Use in season blooms and hanging baskets to add some colour. Or, you can go ‘full on’ and have professional landscaping to create an urban oasis. 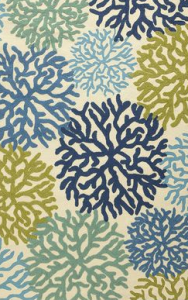 Accessories: Adding patterned cushions, outdoor area rugs and colourful tableware can add instant appeal. 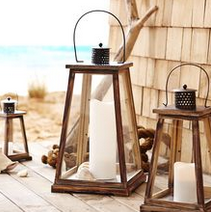 Lanterns and candles create mood lighting at night, and look great during the day. Don’t forget those plastic tumblers and plastic wine glasses when around the pool…they are much safer than glass…especially when everyone is celebrating! 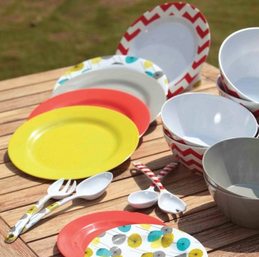 Happy outdoor entertaining this summer, everyone!